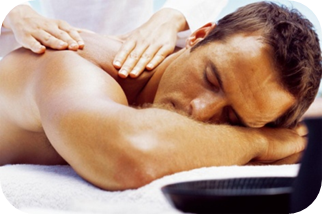 This style of massage was offered in San Francisco, California in the late 60s and early 70s. That explains its name. It comes from emerging therapy groups with which massages were associated and, which after the “hippie” period, advocated the freedom of the spirit but also the body. The “new age” is therefore at the origins of this massage* technique which has been perfected over the years to become at the beginning of the 80s one of the most popular massages* in the world. This massage* is for all overworked, stressed or simply tired people who wish to have a true relaxing break, an “instant” of intensive relaxation. With an ample assortment of enveloping and deep gestures, this massage* is largely destined for enjoyment and physical as well as mental relaxation. The “letting go” or abandon that it provides allows you to rediscover your body and helps to achieve a certain psychological balance by the stimulation of a multitude of nerves. The practitioner takes control of your whole body with relaxing scented or non-scented essential oils to help with fluidity. This 60 minute Californian massage can be performed for 2 people in a specific cabin and it is possible to add 15 or 30 minutes. Don’t hesitate to contact us to find out more.